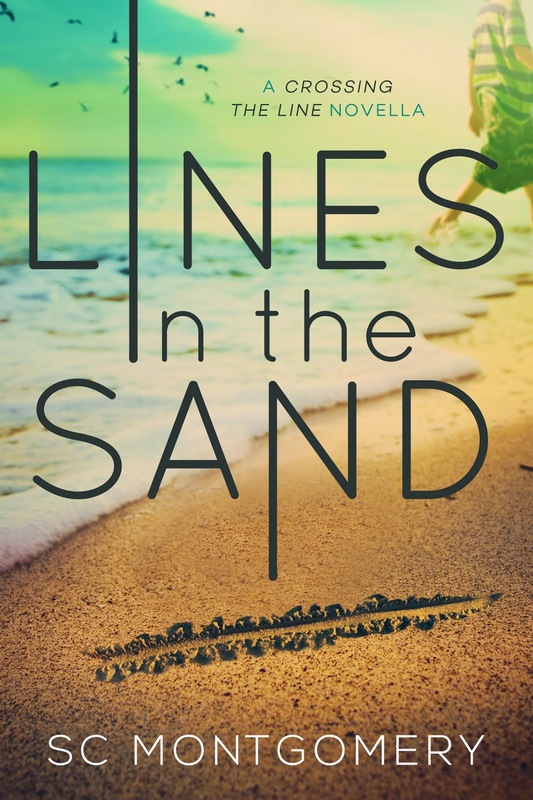 LINES IN THE SAND, the prequel in the Crossing the Line series! While Lines in the Sand is a standalone novella, appropriate for younger readers with only some mild language, it is intended as a prequel to Two Blue Lines, which continues Reed Young’s story as he’s forced into a situation nobody wants to find themselves in at sixteen. Read and enjoy at your own discretion. 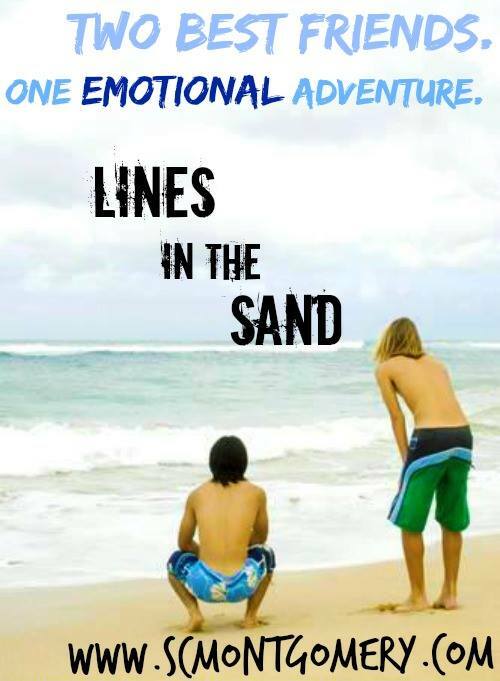 LINES IN THE SAND is a great short story about two young teenage boys, best friends, who start out with a typical summer day at the nearby beach and discover something in the sand that completely changes the course of their day. And in some ways, their life. S.C. Montgomery does an incredible job at capturing the emotions and reactions of Reed and Jonah as they set out on the adventure of solving the mystery they’ve unveiled. She’s balanced her story with the interesting characters the boys meet, the pretty girls they are crushing on, and by enveloping the reader in their family dynamics. Artfully drawing you in page by page as the boys uncover more than the answers to the mystery that began their quest. Then, out of the corner of my eye, something caught my attention. I couldn’t say why, it wasn’t large, or shiny. But it drew me. About two feet from where Jonah had shifted the sand with his dumb foot, a tattered piece of fabric laid buried in the sand. I knelt down and examined it. “I don’t know. Some cloth or something.” I inched closer and touched it, an eerie feeling sliding through my body. “No!” I held out a hand to stop him. I wasn’t sure why, but I didn’t want him to touch it. “I got it.” I gave the fabric a tug and a big piece yanked free to whip in my hand with the wind. We both looked it over. It was dingy, but it had obviously been white once with little yellow flowers. “I have no idea,” I said, but I somehow knew it was something. My heart began to pound as I handed the cloth to Jonah and raked my fingers through the sand looking for a bigger piece. We glanced over as someone on the beach gave a yell as they chased a Frisbee in the warming beach air. The surf continued to pound the beach, the gulls continued their mournful cries, the kids continued to build their castles. Someone’s barbeque scented the air. Jonah and I looked at each other. He felt it, too. He nodded, indicating that I should continue digging. It didn’t need to be spoken—this morning we were on a different journey. No more kid stuff. 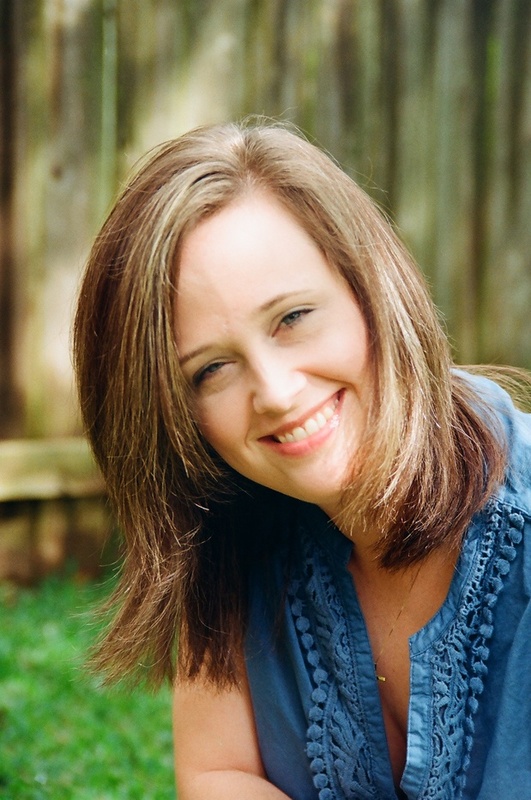 Her first story, The Summer of Lettie, was penned as a gift for her mother, but was published with her blessing, and it’s just taken off from there. SC is married with three teenagers of her own, who give her plenty of inspiration and advice, and are a constant source of laughter and new terminology. Besides writing, she loves reading, movies, singing and dancing reality shows and going to the beach. You can sign up for her newsletter here.